SATURDAY SCHOOL REGISTRATION IS OPEN NOW,COME JOIN US! Masjid Al Noor is looking to hire new teachers for our Saturday School. 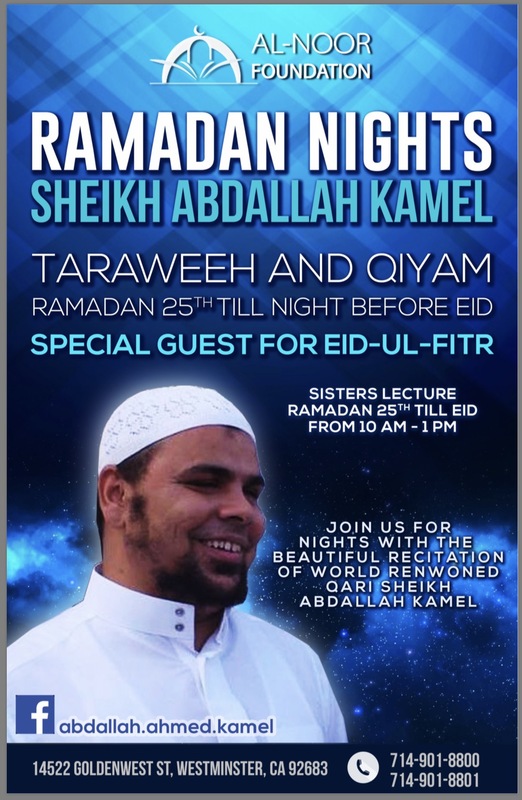 Taraweeh Prayers; Sisters’ Lectures 10 am-1 pm; Special Program for the 27th night of Ramadan.